RUPES BigFoot Coarse & Fine 100 mm Microfiber Polishing Pad Mix & Match 6 Pack is the perfect way to get a half dozen pads of your choice in a package deal. 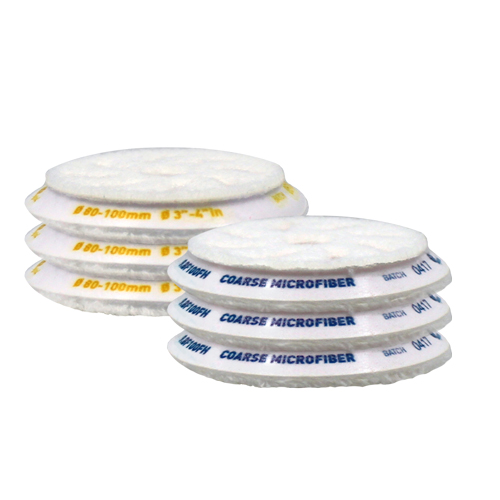 RUPES BigFoot Coarse & Fine Microfiber Polishing Pads are advanced microfiber filament technology that is engineered for optimum results in less time. RUPES BigFoot Coarse 100 mm Microfiber Polishing Pad will remove heavy swirl, oxidation and scratches due to its aggressive cutting capabilities when paired with RUPES Zephir Gloss Coarse Polishing Compound. RUPES BigFoot Fine 100 mm Microfiber Polishing Pad will remove lighter swirl marks while restoring depth in shine due its light cutting and polishing characteristics when used with RUPES Keramik Gloss Fine Polishing Compound. 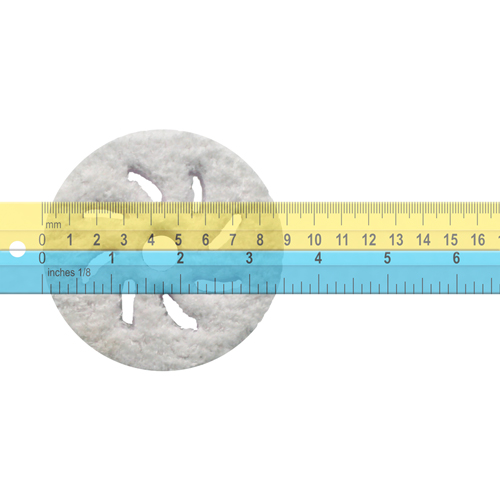 For easy identification, RUPES BigFoot Polishing Pads are clearly marked on the edge of the polishing disc with either "COARSE MICROFIBER" in blue or �FINE MICROFIBER� in yellow. Mix & Match Six RUPES BigFoot Coarse Microfiber Cutting Pads or RUPES BigFoot Fine Microfiber Polishing Pads! RUPES BigFoot Coarse 100 mm Microfiber Polishing Pad: For Heavy cutting, will remove swirl, oxidation & scratches. RUPES BigFoot Fine 100 mm Microfiber Polishing Pad: For light cutting, will remove light swirl marks and restore depth in shine to your paint. 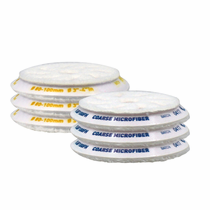 RUPES BigFoot Microfiber Polishing Pads should be air dried or by machine dried on a delicate cycle with low or no heat. Dryer sheets should never be used.